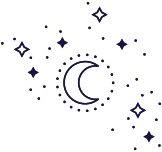 The Darling Tree is a visionary business devoted to helping you awaken your creative spirit and explore the magic in your soul. All offerings are created from the heart and seek to align with the core values of art, spirit, creativity, learning, freedom, inspiration, community and self. The Darling Tree is devoted to intregrating these core values in every creation that is shared with the world. Expressing ourselves everyday, telling our stories through different mediums. Bringing play into our practice, and healing what no longer is meant for us. I believe that art can be a spiritual practice, to increase mindfulness, and allow us to connect with our intuition and brings much needed beauty into the world. To open ourselves us to spiritual growth and living a happy and abundant life. Using messages and wisdom to channel into our work and creative practice. Connecting with intuition, spirit guides, the universe, mother nature and using different practices to help us understand ourselves and each other. To always be interested in learning from others as well as ourselves. This keeps us engaged in this life and looking towards a better life for all. I love learning more about the deeper truths which really drive us, the inherent wisdom of nature and the universe, and how we can create our dream life. To always know that we are infinitely creative being and this allows us to create energy, passion and abundance in life and work that aligns with our spirit. Flow in creativity mean more amazing work which we love doing and helps others, create ways to discover more about our purpose, helps us stay present and to explore and play. We can get messy and be imperfect and along the way unlock more of the treasures within us. To get people excited and inspired, bring energy and magic into their life, or their day. To start to wonder if they could do it, and dream of amazing things of themselves. To get people excited and inspired, bring energy and magic into their life, or their day. To feel connected, to listen and be heard, so that we do not feel alone or unworthy. We can learn so much from each other and by lifting each other and feeling so supported, we all have the ability to vibrate higher. A place we can share our art, stories, experiences, feelings and all of the things in between. To have the choice to pursue what our hearts are calling us to do. To go on adventures and have an open mind, to be curious to explore all parts of ourselves, and be able to express our true selves to the world. For all beings on the planet to be safe, loved and free. To seek positive change and create your dream life, and occasionally embracing your wilder side. To explore who you are and why you’re here, and venture out of your comfort zone. Practising self love and self care, to strengthen the core of our soul which makes doing our soul’s work sustainable and enjoyable. Our intuitive side is the most important guidance system, and we need to believe in ourselves and our potential. The Darling Tree is an earthy and grounded spirit with strong roots in design and art. Over the years she has experience different seasons as she continues to explore and discover new ways of being creative. What began in service to other soulful businesses in branding and web design has evolved to being a place full of inspiration, tool, and teachings which center around art, creativity and spirituality. The Darling Tree helped hundred of businesses in her previous life, and now is guiding hundreds of students, customers and friends in embracing their creative side, expressing through art, and taking actions towards their dreams. Hi darling heart! I’m Jo Klima. I love seeing creative projects come to life, to add beauty, colour and meaning into the world. I want to discover, unearth, understand myself more deeply, and continuously learn new ways and beliefs that will continue my journey into my highest self, and be fulfilled doing what I am truly here to do. I feel like by experiencing my own truth, growth and purpose in my own way through creativity, I can help others do the same. I think I’ve only scratched the surface of what can be learned and created in the way art and creativity effects and adds magic to our lives. I want to know more. Art and design is how I will create the offerings and what I use to share my light. It’s important for me to always have the freedom to make a choice in my life or change things if I’m not enjoying myself. To be curious and question what is happening and why. To always be connected with my intuition and inner spirit a how it wants to express itself. To be seen and inspire others who desire the same. I seek visual inspiration from geometry & sacred symbology, animals, crystals, nature, astrology and of course art & design. This is interwoven with spiritual inspiration received from the divine feminine, dreams, meditation, tarot, the universe and the wisdom of other artists & writers.